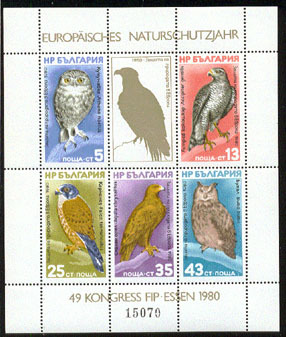 3558 SS BULGARIA (1980) Birds*. Owls*. Perforated souvenir sheet (Michel Block 105). FIP Congress Essen issue. Unlisted in Scott or Yvert. 1993 Michel catalog 150DM.